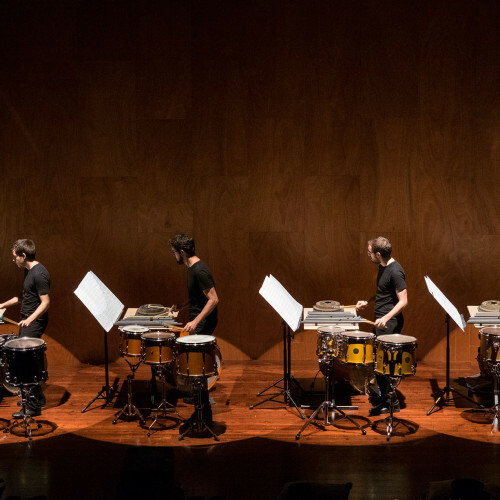 Frames Percussion is a percussion group dedicated to new music. Their aim is to represent the talent and commitment of the music of its time. 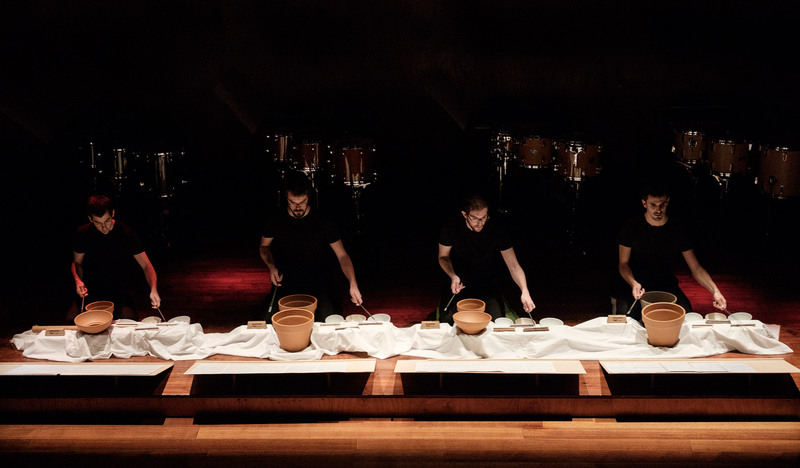 Formed by a new generation of percussionists from Catalonia, the group deals with the most demanding programs of the new repertoire, with careful preparation and maximum respect to the new compositional languages. 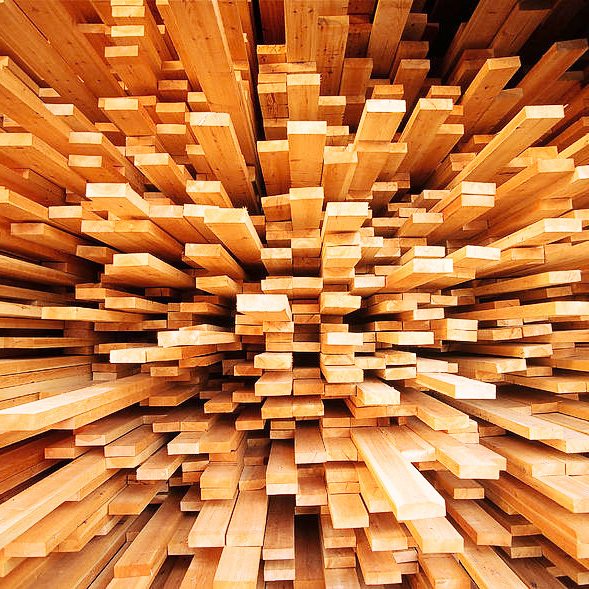 Frames Percussion is a percussion group dedicated to new music. Their aim is to represent the talent and commitment of the music of its time. 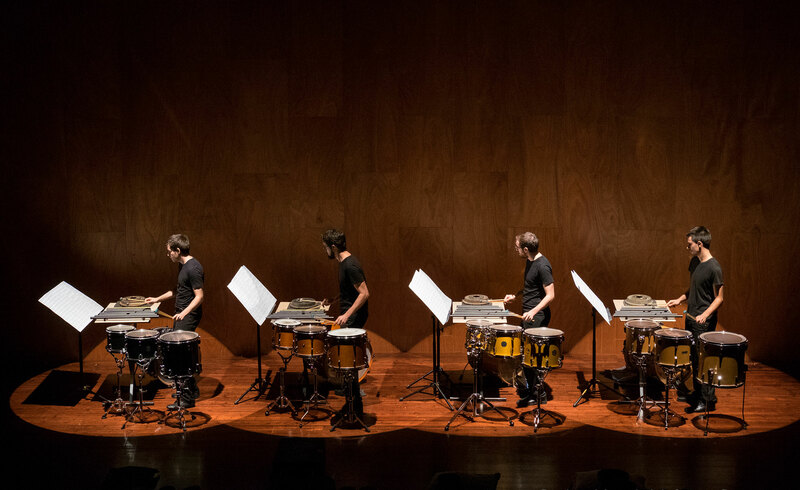 Formed by a new generation of percussionists from Catalonia, the group deals with the most demanding programs of the new repertoire, with careful preparation and maximum respect to the new compositional languages. For their debut, Frames performed an ambitious program of North-American minimal music, inside the concert series Neu. Noves Músiques at the Fundació Antoni Tàpies in Barcelona, organized by Neu. The impact of this proposal has led the group to make a continual pursuit around this repertoire for two consecutive seasons. Linked to Joventuts Musicals de Catalunya and Escola Superior de Música de Catalunya the group has given concerts, lectures, master classes and educational activities around Catalonia, with the desire to create a cultural reference for the new generations. Recently, Frames Percussion has promoted the creation of the new concert series OUT.SIDE. They will present their first recording with the label Neu Records and collaborations with l’Auditori de Barcelona · Sampler Sèries.